The importance of recognising the knowledge and the needs of service users and engaging them more proactively within the care process is now widely acknowledged, but it is not always clear how this can come about. The Lived Experience of Mental Health highlights individuals’ own lived and felt mental health experience in order to share their expertise about mental health problems and the care offered. 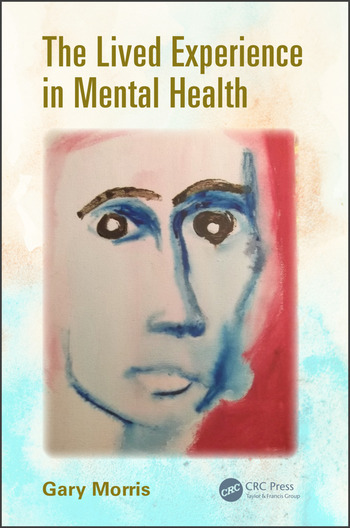 This text begins by exploring the importance of engaging with the internal world of those living with various mental health problems and reflecting upon personal narratives as means of expressing and sharing experience, as well as the status of these narratives as 'evidence'. 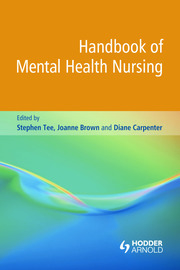 The central section of the book looks at five commonly experienced mental health states: anxiety problems, depression, mood extremes, states of altered reality (linked, for example, with psychosis and schizophrenia) and impaired cognition (linked, for example, with dementia). 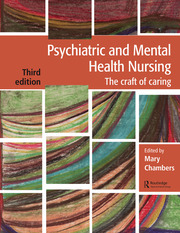 The chapters look at how the mental state in question is experienced, including the experience of it in the context of the wider world, where health and social care services and the responses of other people play a part. Drawing on personal narratives from a wide range of sources, this text foregrounds the voices of experts by experience and relates them to the academic literature. The narratives　collectively convey a breadth of experience including both concepts of struggling and living well with mental health issues. The book ends by outlining resources where a range of first-person narratives can be accessed, from online forums to films, and providing a strategy for teaching and learning associated with the exploration of lived experience narratives. 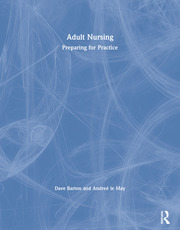 Designed for health professionals working with people experiencing mental health problems, this illuminating text uses personal narratives to emphasise the importance of person-centred care and participation by services users in their own care. It will also be an interesting read for experts by experiences themselves as well as their families and friends. Introduction. Acknowledging the Lived Experience. Life Stories and Personal Narratives. Specific Initiatives, Projects and Research Studies. The Lived Experience. Depression. Anxiety Problems. Bipolar Disorder. Schizophrenia. Dementia. Resources and Learning Approaches. Resources. Learning Approaches. Concluding Thoughts. Gary Morris is a lecturer in mental health nursing at the University of Leeds, UK. He is also the author of Mental Health issues and the Media and co-author of The Dementia Care Workbook. regarding an array of common mental health disorders. approaches and available support networks" of people living with mental health issues. not enough to determine whether he has any expertise in the area.